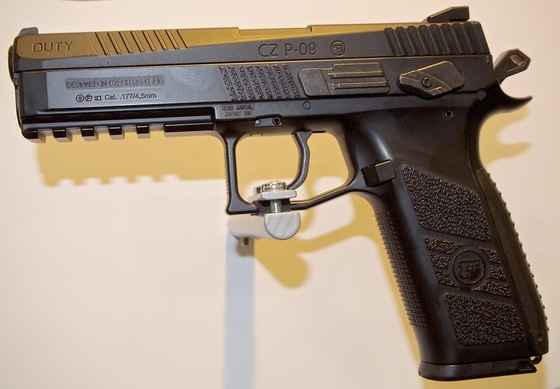 A new handgun to the ASG blowback pistol series is the CZ P-09 Duty Pellet pistol. 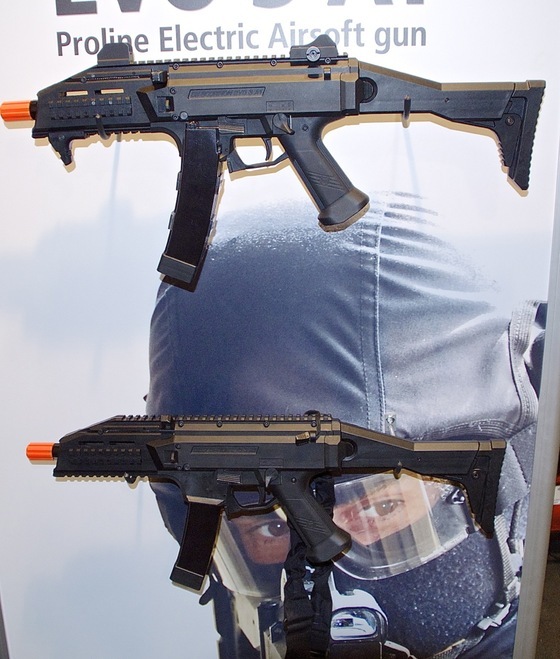 Basically it shares similar mechanics to the Umarex PX4 and Gamo PT-85 using the double sided rotary pellet magazine with 8 shots located on each end of the stick magazine. 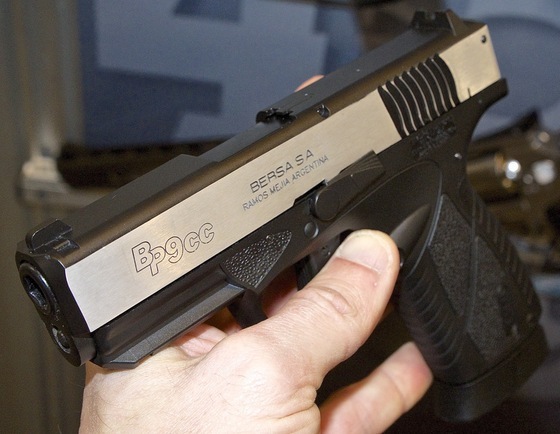 The ASG CZ P-09 Duty features a metal slide, working hammer and safety. 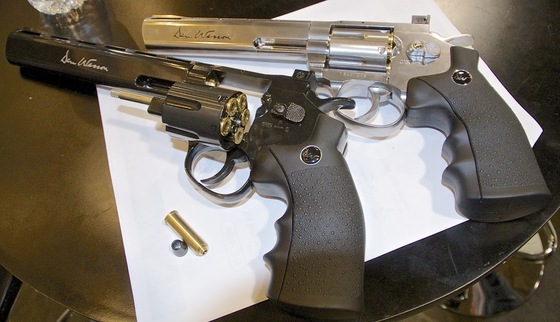 Another pellets pistol that should be very familiar to most of you is the new .177 caliber pellet shooting Dan Wesson in 6 inch silver and 8 inch black versions. 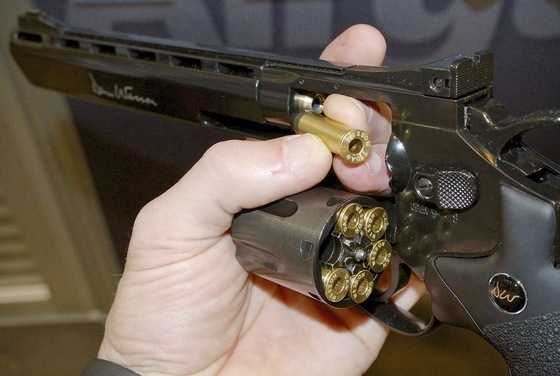 ASG added a rifled barrel and redesigned solid brass shells that hold pellets instead of 4.5mm Steel BB's. 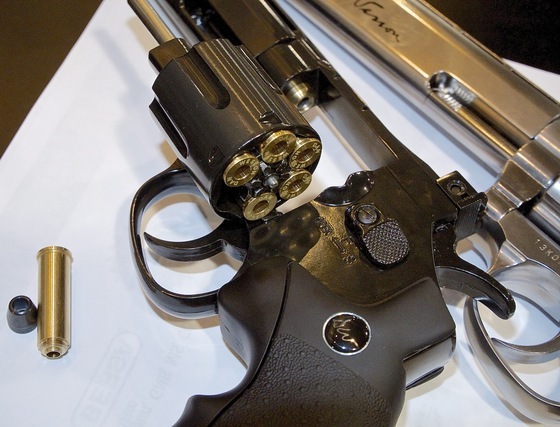 Expect to take a little bit longer to reload the pellets as unscrewing the tip of each shell is required to place a .177 caliber pellet in each bullet tip. 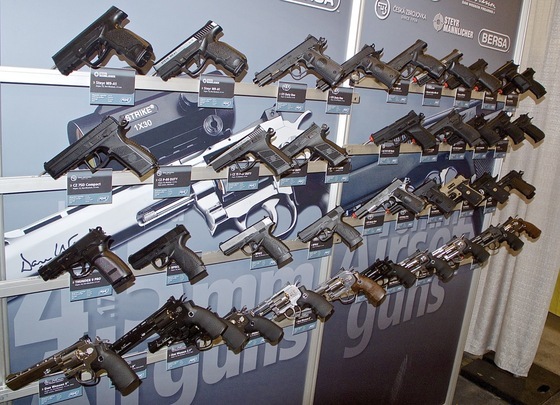 Of course ASG has tons of licensed pistols to choose from, many on both 4.5mm Steel BB and 6mm Plastic Airsoft! 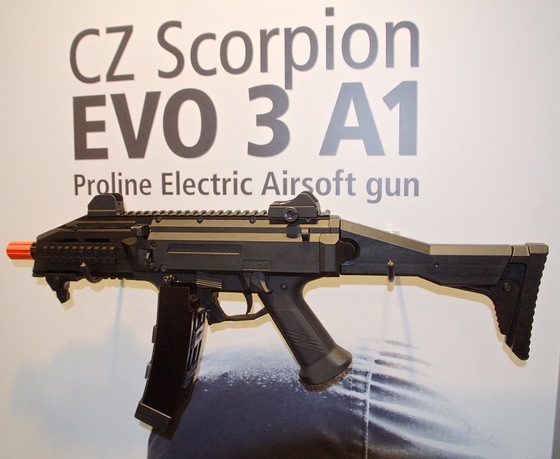 One new rifle that stood out to me was the ASG CZ Scorpion EVO 3 A1 AEG Airsoft Rifle, the Scorpion features an intelligent AEG system that detects when there may be a potential feeding problem and also when the magazine is out of ammo.